Yokneam, Israel – 23-Sep-13 – CompuLab is announcing new products – fit-Multi family of rich-I/O fanless PCs, fit-PC3i fanless PC and fit-Headless plug for headless PC setups.fit-Multi is a range of unique off-the-shelf industrial computers with unprecedented combination of specialized I/O, outdoor-ready miniature fanless design and high-performance PC functionality. First fit-Multi products include fit-MultiLAN with up to 6 GbE ports, fit-MultiSer with 7 RS232 ports and 2 CANBus ports and fit-MultiPCIe with 4 miniPCIe sockets. Built upon CompuLab’s fit-PC, Intense PC and uSVR platforms, fit-Multi is available in a wide range of footprints, performance levels and price points. 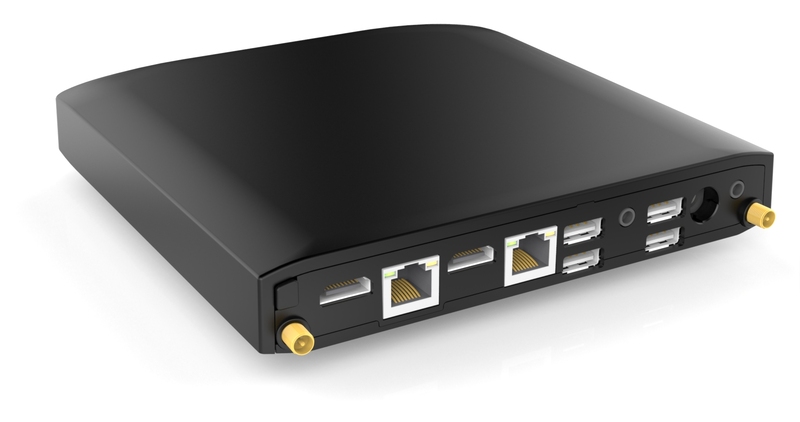 fit-PC3i is a new version of CompuLab’s popular fit-PC3 designed for signage, surveillance, and telecommunication applications. 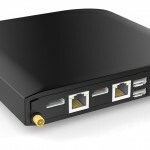 fit-Headless is an HDMI plug that emulates a connected display, thus simplifies remote desktop access regardless of GPU, operating-system and display-driver. fit-Multi is a range of off-the-shelf fanless-PCs with specialized I/O. fit-Multi solutions are implemented using CompuLab FACE Modules integrated seamlessly into fit-PC3, Intense PC and uSVR platforms resulting in a cost-effective and extremely scalable range of solutions. “Industrial applications often require specialized I/O that is not found on a standard PC” said Irad Stavi, Chief Product Officer at CompuLab. “For lack of suitable off-the-shelf solution, some system architects take the risk of a custom design which incurs NRE, may hurt time-to-market and provides no upgrade path. In low-volume projects that cannot justify a custom design the compromise is between solution quality and unit cost. fit-Multi is an off-the-shelf specialized I/O solution which is cost effective, scalable and having minimal footprint”. fit-MultiLAN incorporates up to 6 Gbit Ethernet ports. Each Gbit Ethernet port is on a dedicated PCI express lane making the fit-MultiLAN family a unique high-performance router or an advanced platform for networking services and network security applications. fit-MultiSer features up to 7 RS232 ports and 2 CAN bus ports. fit-MultiSer is a dependable platform for control, instrumentation, data acquisition and in-vehicle applications. fit-MultiPCIe provides 4 mini PCI Express sockets. fit-MultiPCIe is ideal where diverse data-communication devices are required within a single ruggedized chassis. fit-MultiUSB3 brings out 4 USB3 ports and 4 USB2 ports and has 2 mSATA sockets. fit-MultiUSB3 is ideal as a miniature ruggedized hub for multiple high-speed devices. 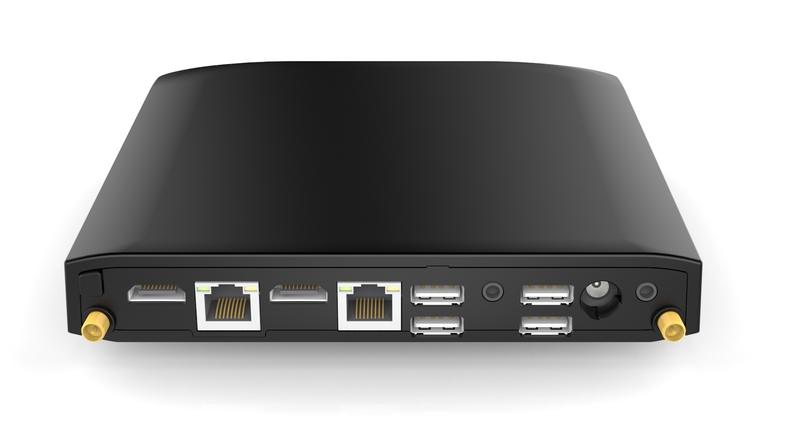 fit-Multi solutions support Linux and Windows on CompuLab’s platforms based on Intel and AMD CPUs. They are available as a ready to use PC or as an SBC for embedded applications. CompuLab is developing additional industry-specific solutions based on FACE Modules and also allows customers and third parties to design their own custom FACE Module solutions. fit-Multi products are available now starting from $449. 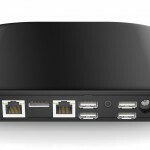 CompuLab fit-PC3, Intense PC and uSVR product lines bring unprecedented modularity to the miniature fanless-PC segment by accommodating Function and Connectivity Extension Module (FACE Module). FACE Module is an add-on card that fits seamlessly into the computer and appear as an integral system element. The FACE Module system interface consists of multiple high-speed busses including 4 PCIe lanes, 4 USB ports, 2 SATA ports GPIOs and serial interfaces. “FACE Module extension was defined for ease of integration.” said Dimitry Katkov, CompuLab VP of R&D “It consists of only a single PCB and a sheet-metal panel that fits seamlessly in the casing. The PCB is simple to design and manufacture. 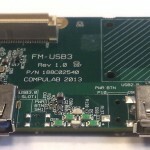 CompuLab provides detailed documentation and complete FACE Module reference designs. A custom FACE Module makes economic sense even in projects of under 100 units”. FACE Modules are interoperable between CompuLab’s low-cost fit-PC3, high-performance Intense PC and CompuLab uSVR allowing one-time design to scale through a wide range of price/performance points. Integrated fit-Headless display emulator for headless remote access. 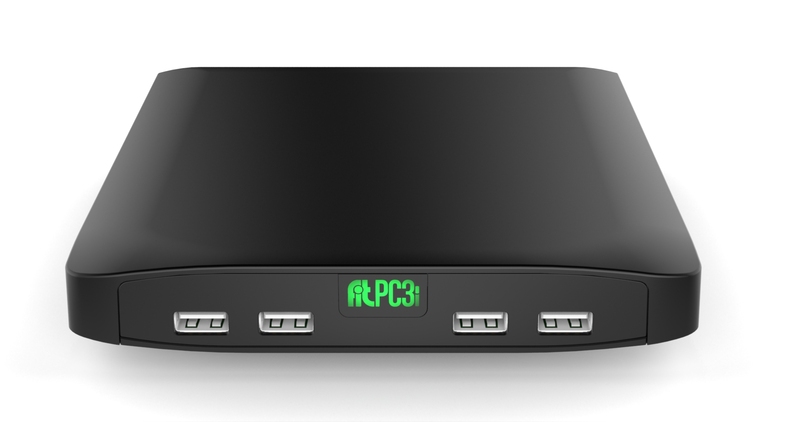 fit-PC3i will be available in Q4 2013 starting from $275. Operating a headless PC requires remote desktop access, but in many cases compositing the desktop in high resolution is possible only when the computer detects a connected display. 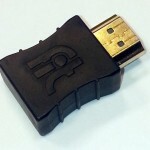 fit-Headless is a miniature HDMI plug that emulates a high-definition display connected to the PC. The headless PC identifies fit-Headless as a connected display and enables the GPU thus allowing remote desktop compositing at high resolution. fit-Headless works with any HDMI capable PC on any operating system and requires no software installation nor configuration. fit-Headless does not require external power. fit-Headless is available now for $15.